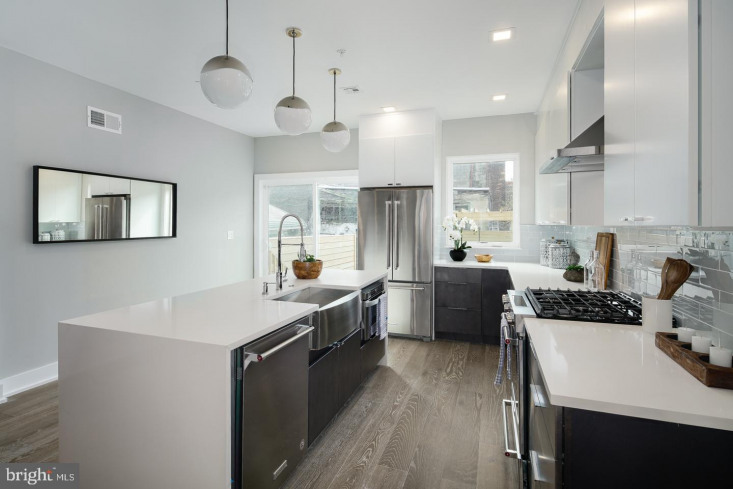 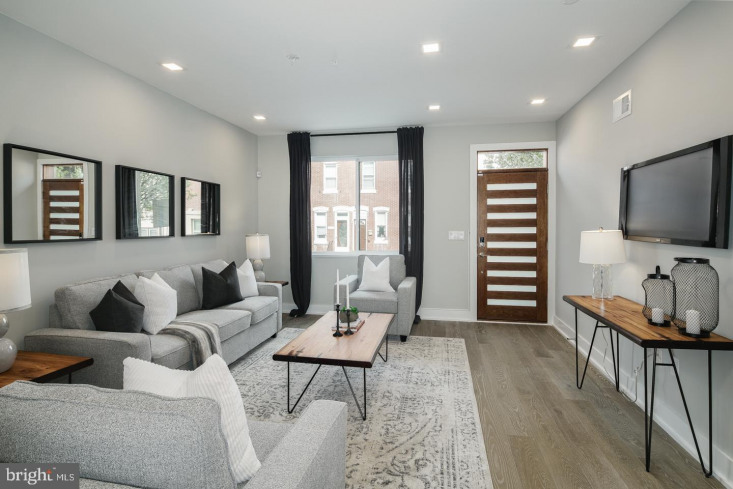 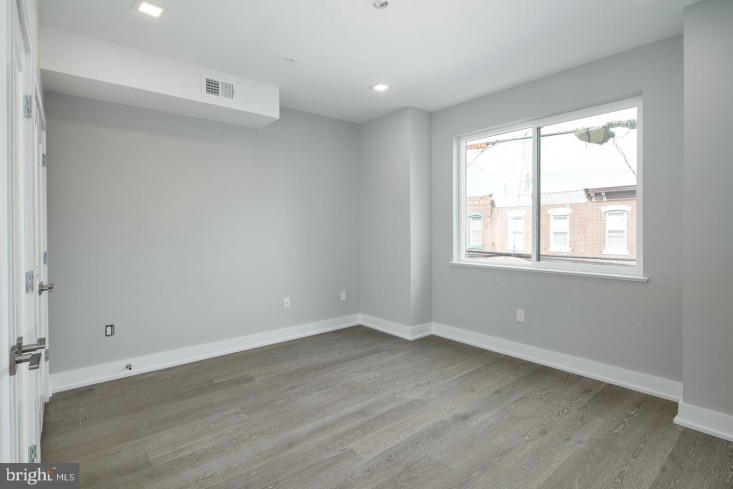 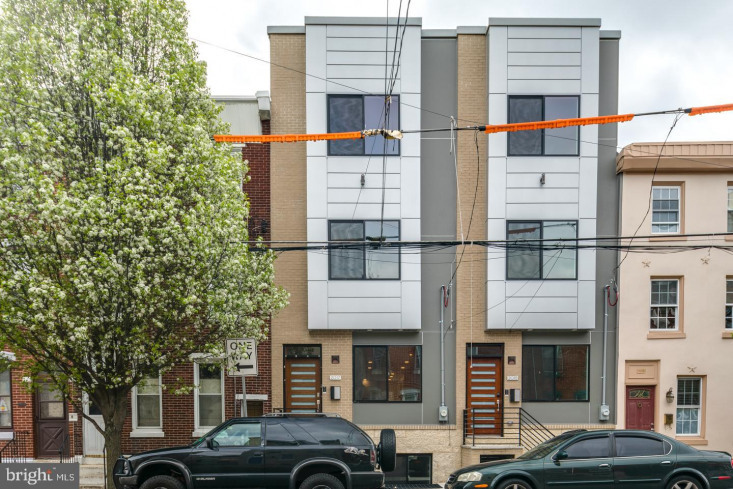 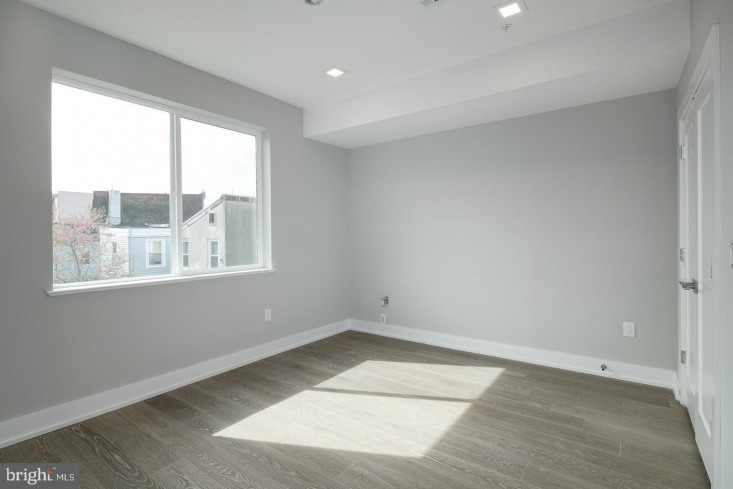 Introducing 2017 Tulip, a massive 5bd x 3ba design-driven new construction smart-home property in Fishtown, aka the hottest neighborhood in America as written by Forbes. 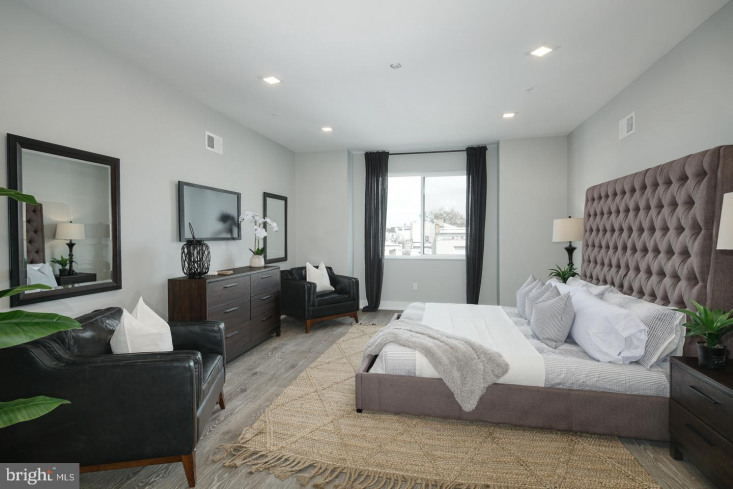 Featuring amenities like dog-wash room and landscaped yard with fire pit and trellis, these elements are typically only seen in the latest luxury apartment buildings...there is nothing else like 2017 Tulip on the residential housing market. 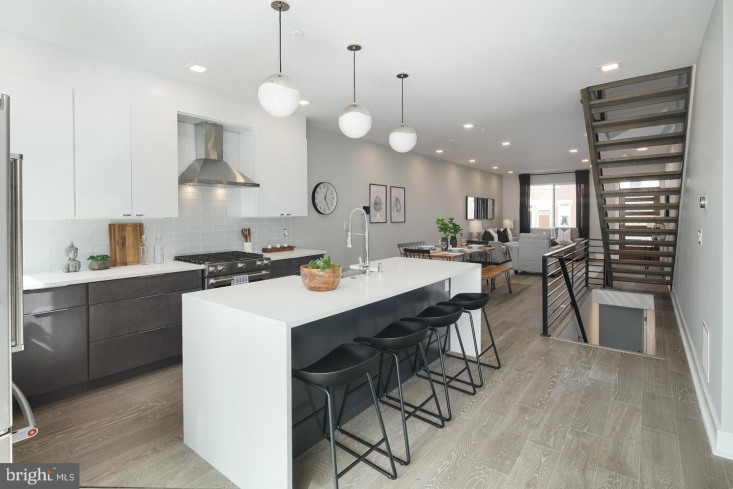 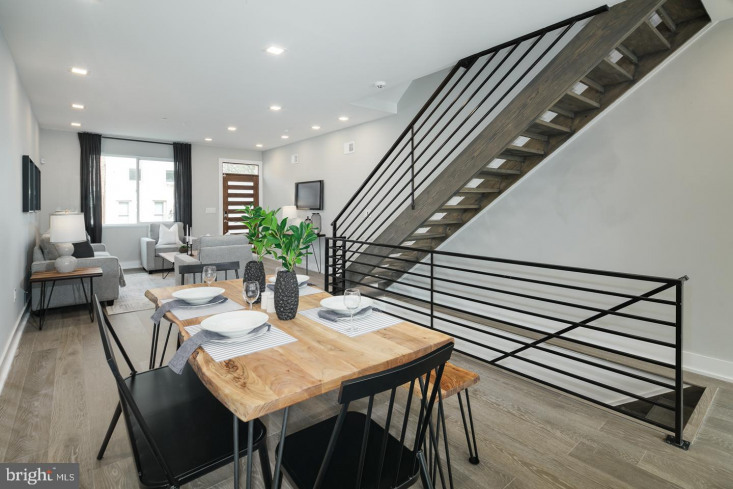 With 3000 SF, 2017 Tulip features oversized open living on every level, inside and out, including the urban oasis rear yard out back and skyline roofdeck up above. 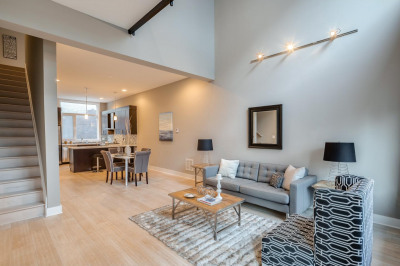 Main floor features open concept with gourmet kitchen. 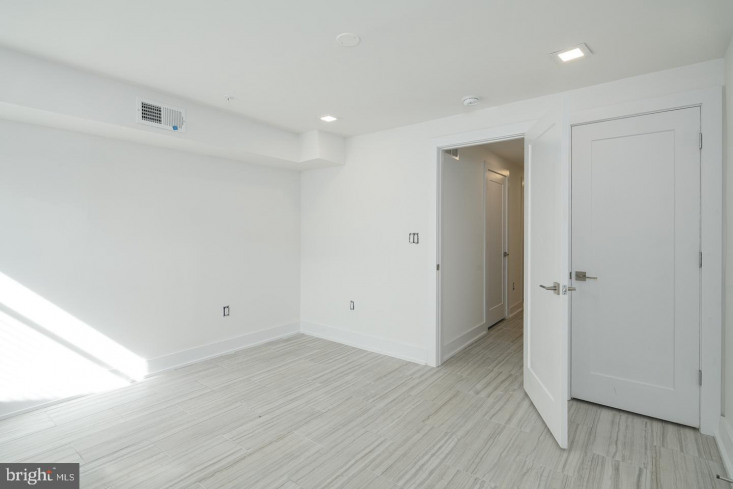 Guest bedrooms on 2nd floor share a full bathroom. 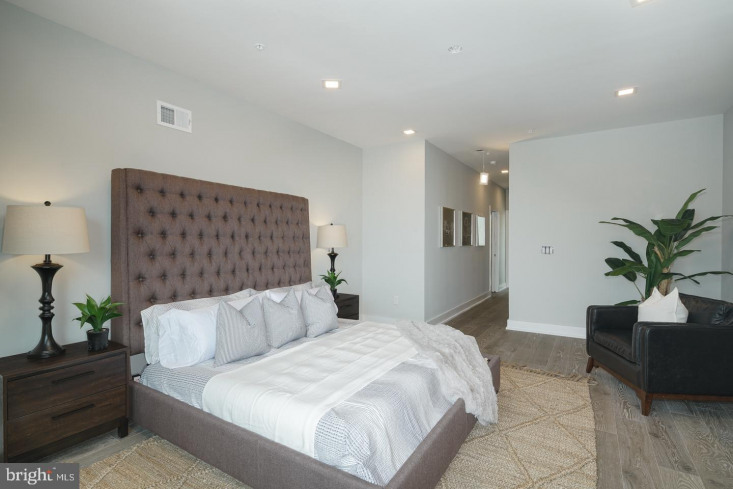 Master suite covers the full 3rd floor, complete with in-room wet bar. 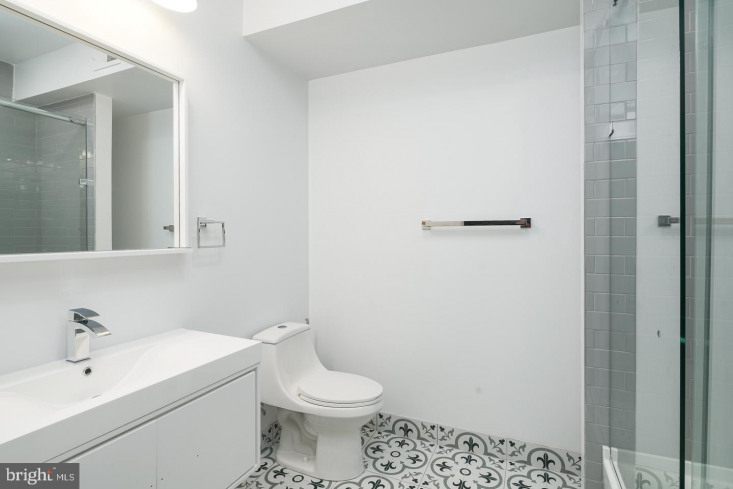 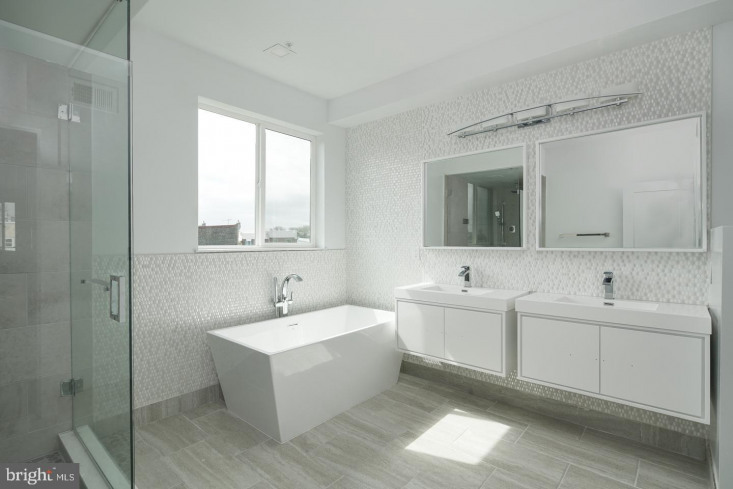 Hotel-quality master bath features deluxe soaking tub, frameless glass shower and handpicked tile. 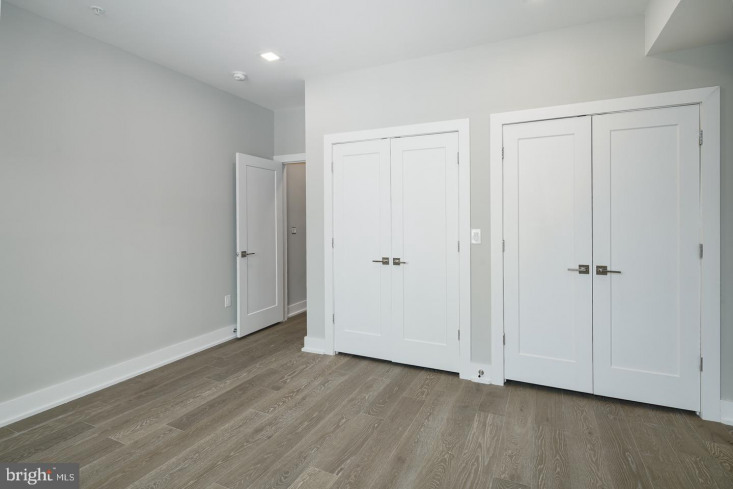 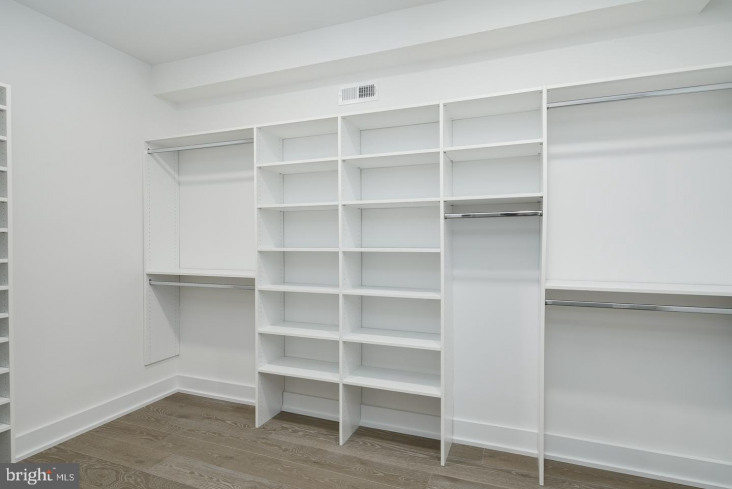 The master closets (his and hers) are big enough to sleep in! 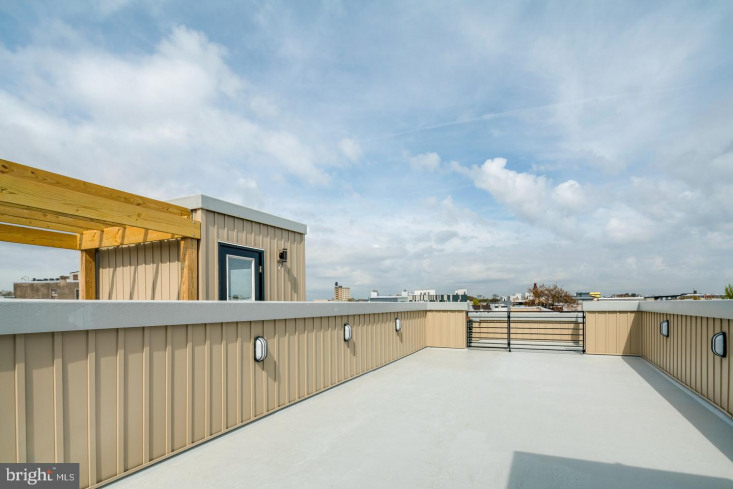 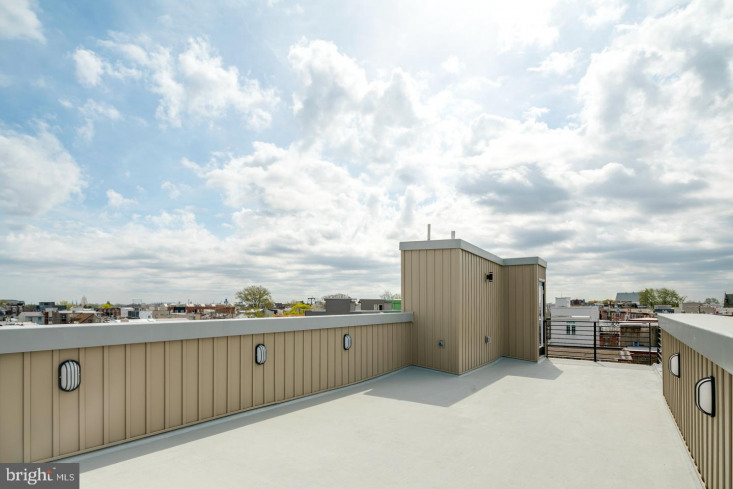 The roofdeck has multiple areas for outdoor entertaining and of course, sweeping skyline views. 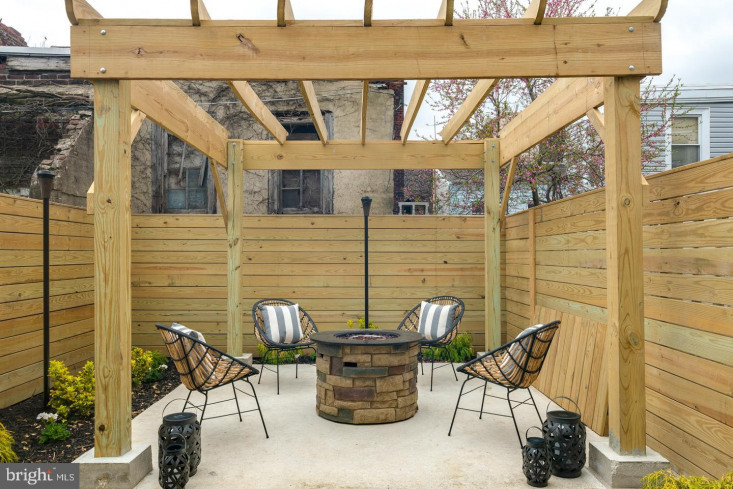 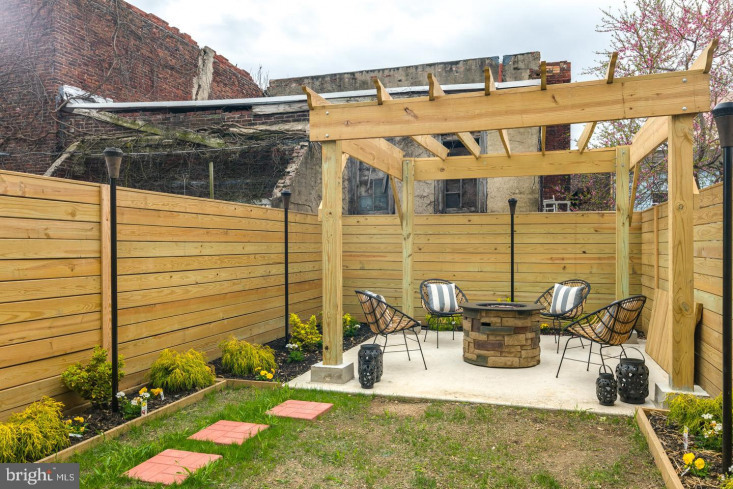 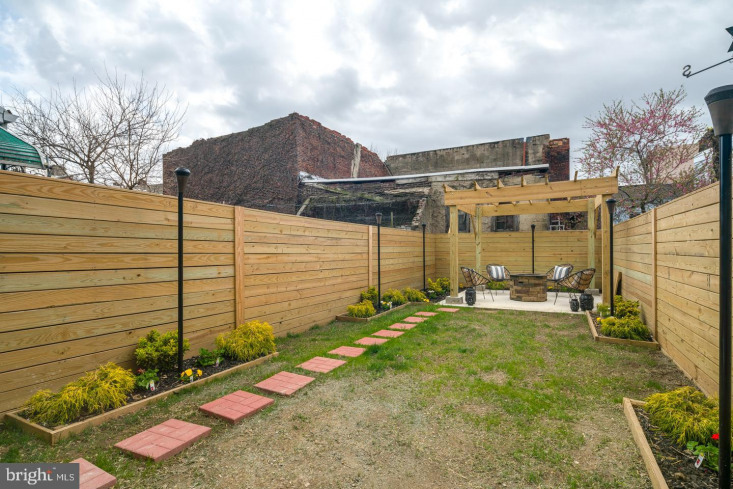 The rear yard is fully landscaped with lush green grass, pavers, , hardscaped patio with fire pit and trellis...a true outdoor urban oasis for the modern day entertainer/party host! 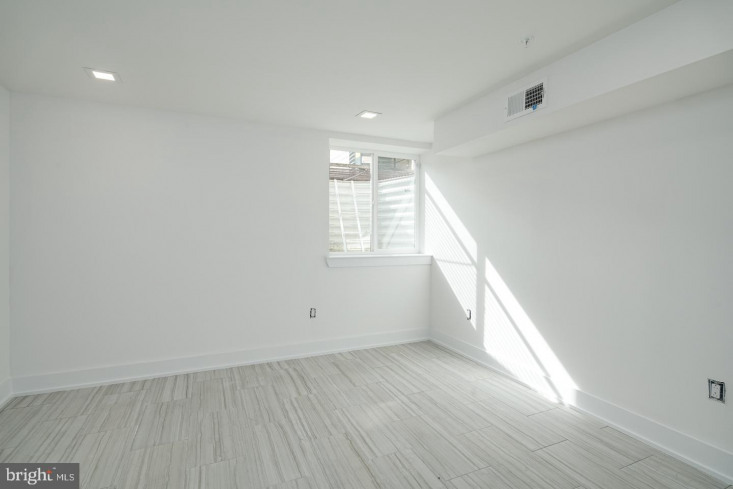 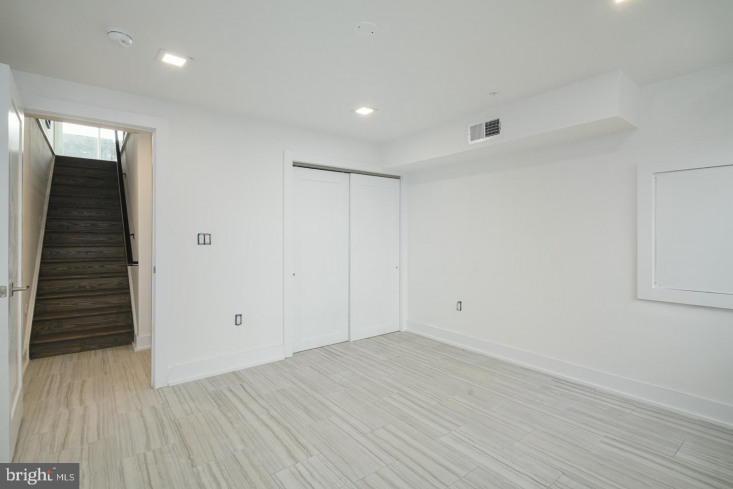 Hardwood floors, LED-lit floating staircases, high ceilings, minimalist recessed lighting throughout. 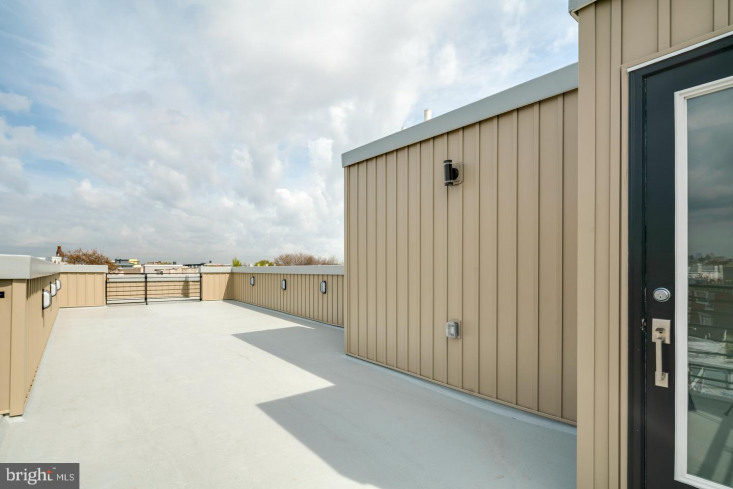 High-efficiency HVAC and mechanicals throughout. 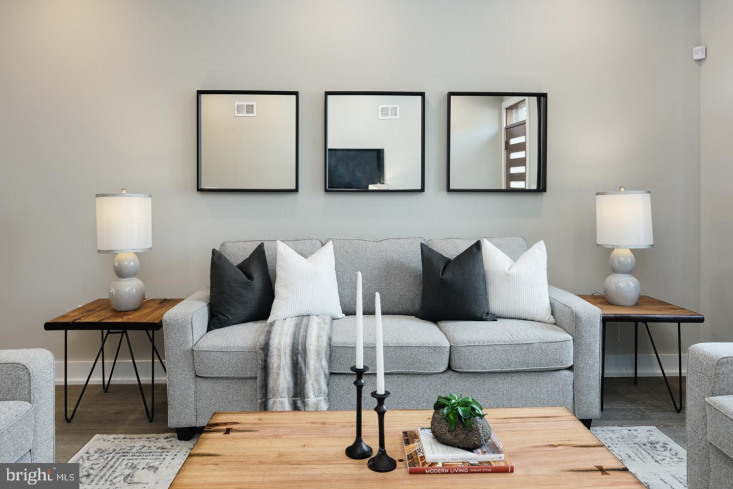 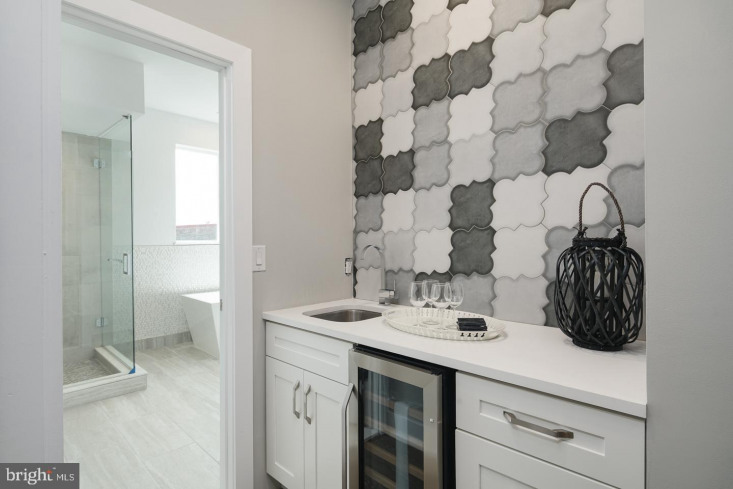 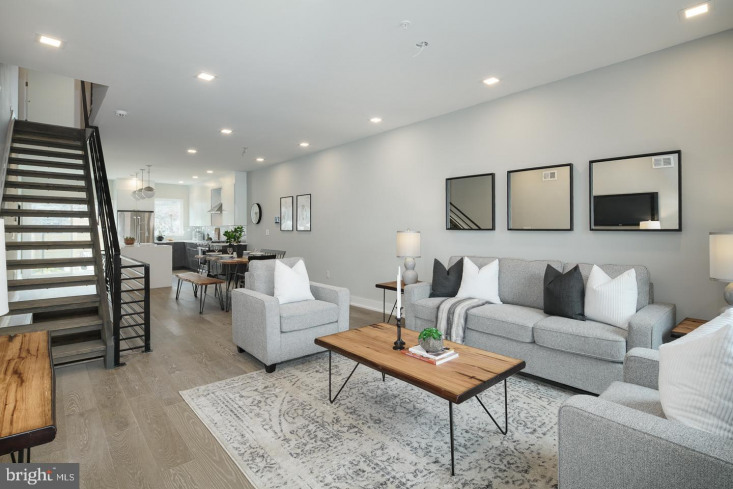 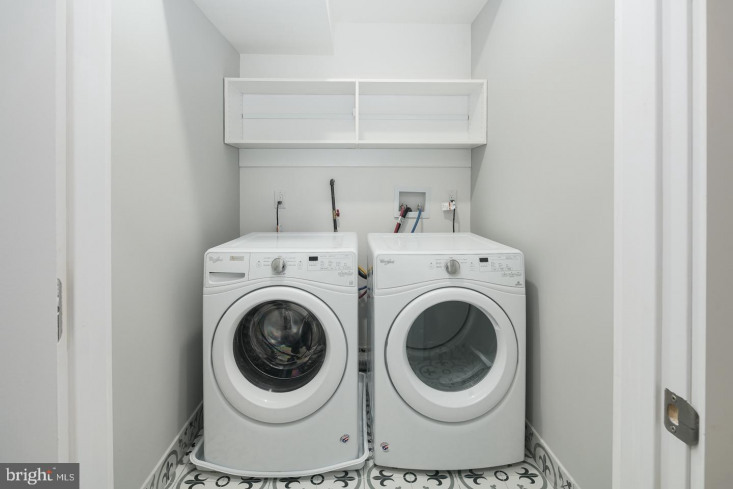 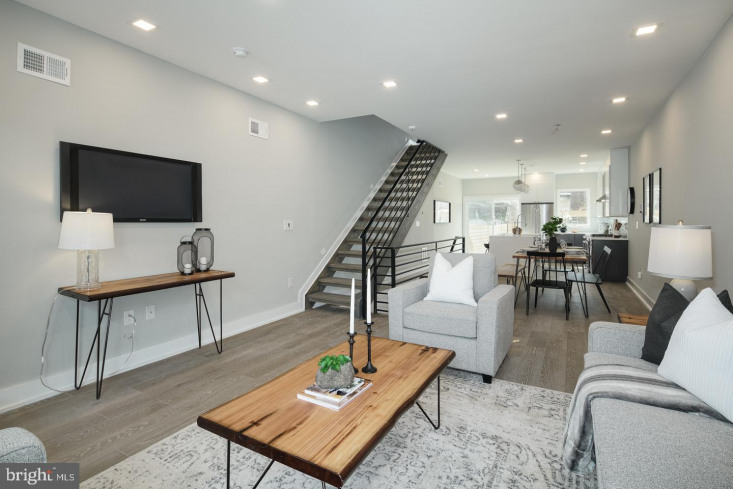 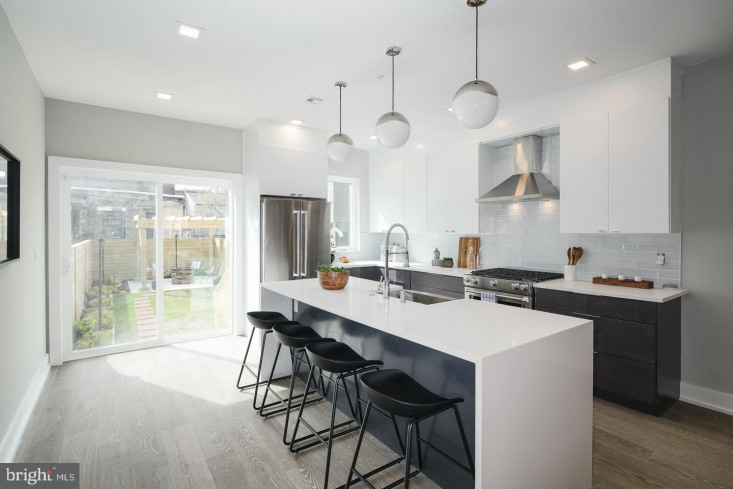 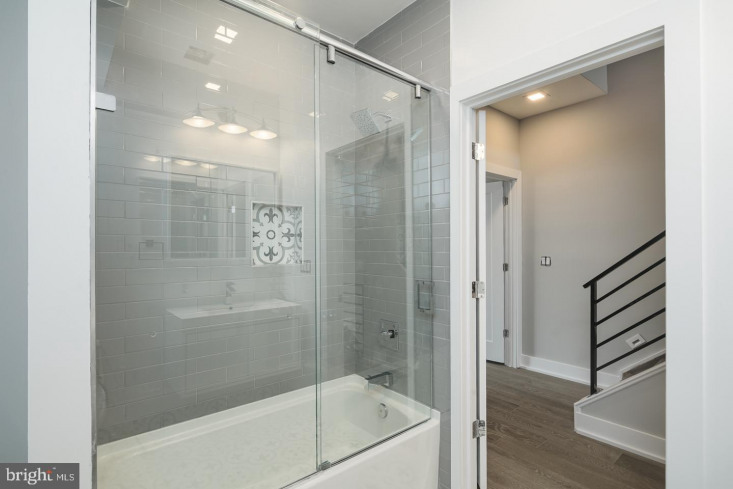 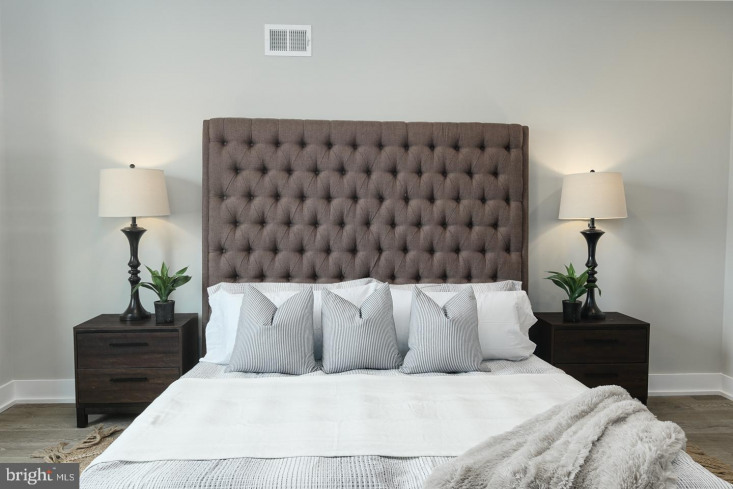 Smart-home tech features include but not limited to: e-locks, Nest thermostats, Vivint whole home integrated monitoring system with security, built-in USB chargers in outlets, digital shower body sprays in master bath + more. 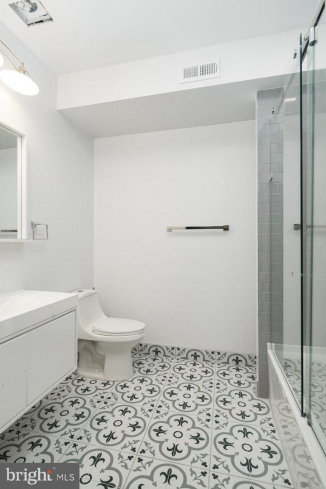 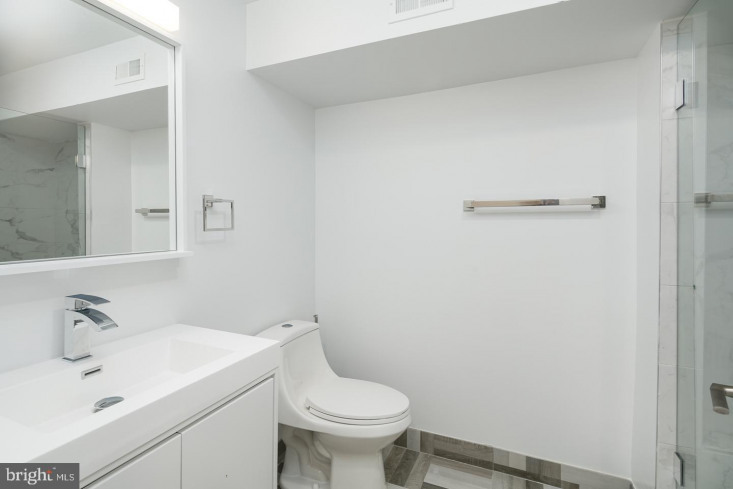 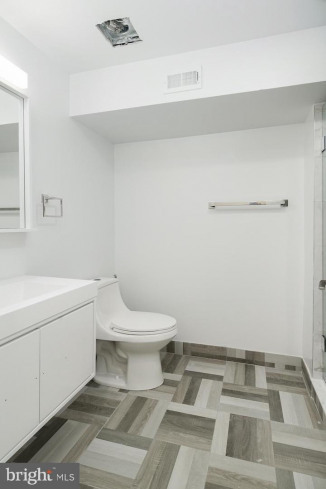 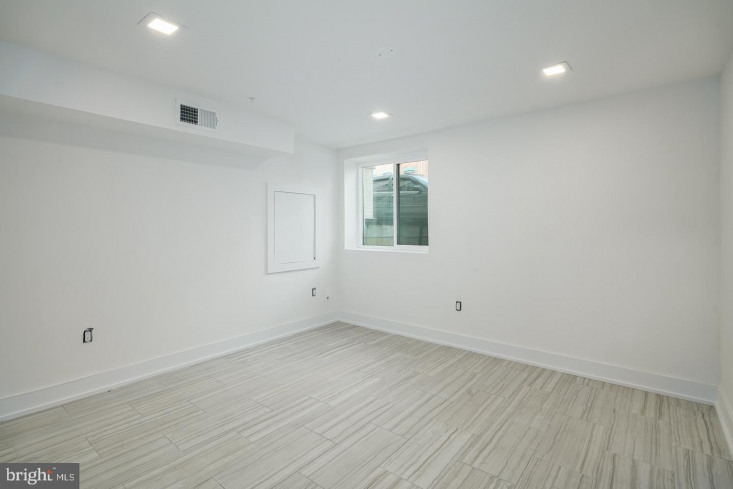 Full basement includes full bathroom. 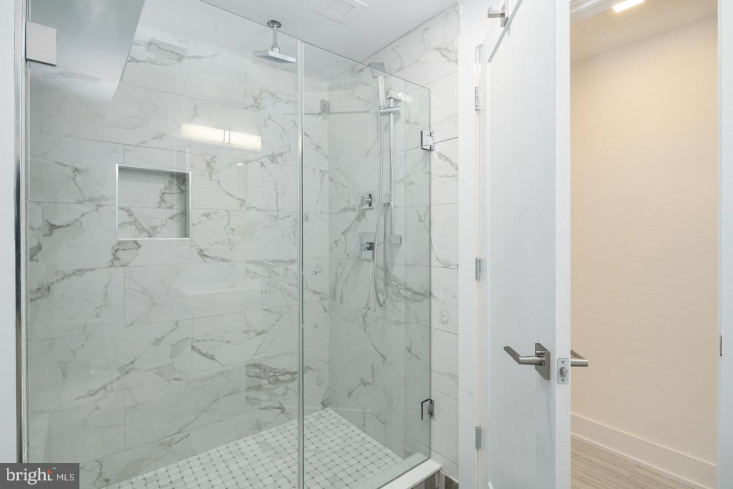 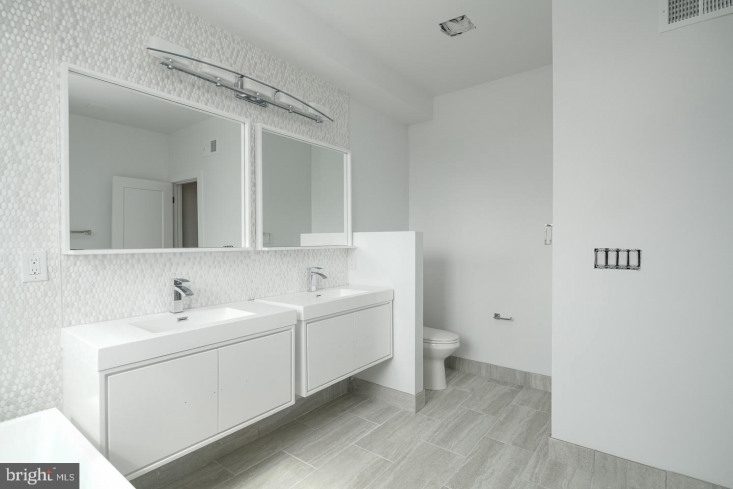 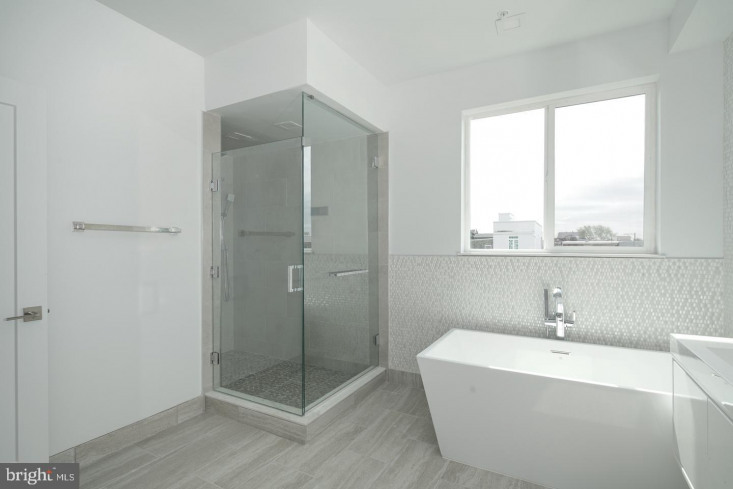 ALL bathrooms have frameless glass shower, providing an elegant bathing room touch. 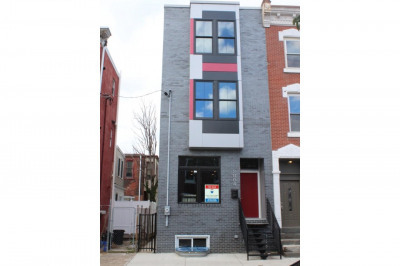 10year tax abatement. 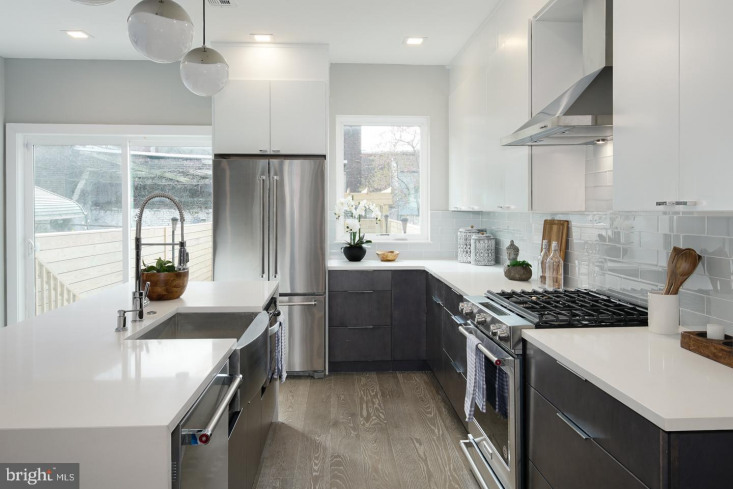 1year builder warranty. 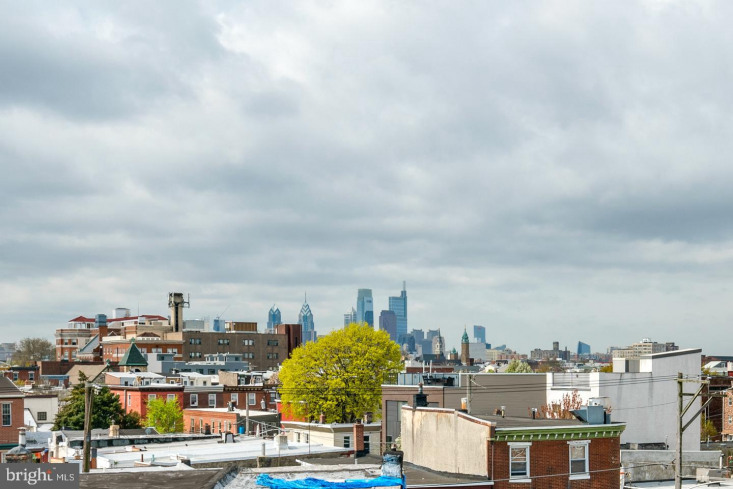 Walk to all world-class restaurants, bars, amenities and destinations like CityFitness, Cheu Noodle Bar, La Colombe, Evil Genius Brew Co, Wm Mulherin's Sons, Front St Cafe, Pizzeria Beddia, Dawa Sushi & Ramen, Frankford Hall Beer Garden, Fette Sau Bar-b-q, Suraya + more.  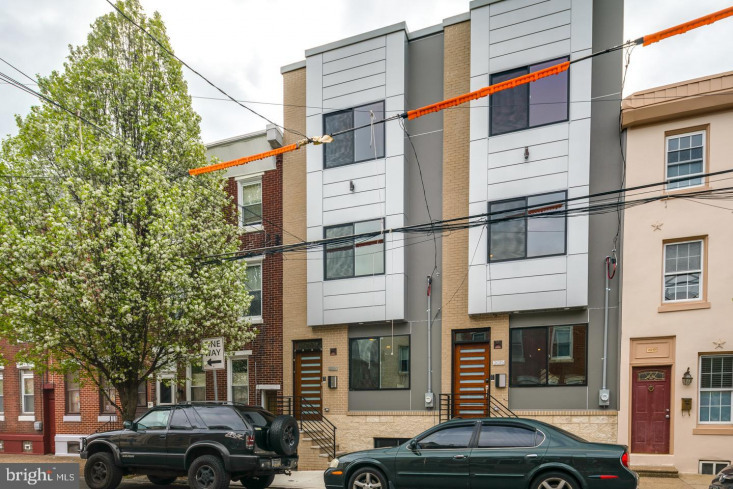 Easy walk (less than 10min) to SEPTA Market-Frankford El train station connecting riders directly into Center City and University City Philadelphia.